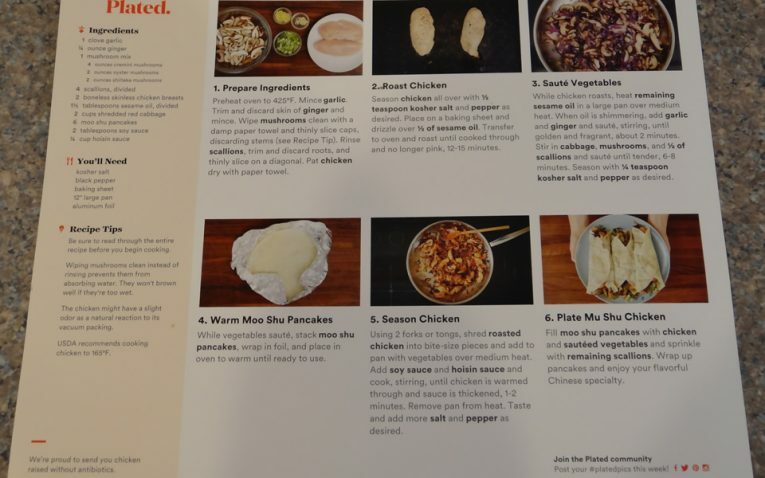 Plated was one of the first home meal kit services to hit the web. They started with the simple purpose of delivering chef-inspired meals that you could cook at home – and save on the hassles of dining out. Since their start, they have always been about offering maximum variety, flavor and a unique array of recipes. The food on the menu each week is globally inspired and you get 20 recipes, plus dessert, to choose from with the option of 2, 3, or 4 meal portions each night and you can choose 2-4 meals each week as well. You can easily order up Plated for yourself for your next date night or give it as a gift to a friend – and spread the food love. Chef inspired dishes with a large variety of menu options to choose from each week. Who Would Plated Most Appeal To? Overall, there are 20 meals options, plus two dessert recipes each week, which is more than you get with many other meal kit services. They have options such as low-calorie, low-carb, gluten-free, stovetop only, spicy, for the grill, and some vegetarian choices as well. If you do not follow a special diet or have dietary restrictions, there are tons of amazing food options to choose from that are very unique and elevated compared to other food kits on the market. You have a choice of meals for 2, 3, or 4 people and can choose to get 2-4 meals per week as well. What makes Plated even more special is the ability to choose from 2 desserts each week, although dessert is optional. Most other kits do not include desserts, so if you love a sweet treat after dinner, this is a really cool feature and definitely worth adding on to your meal plan each week. You can select vegetarian as well as seafood and carnivore packages. You then get to personalize your profile, opting for things like poultry, beef, seafood, etc. 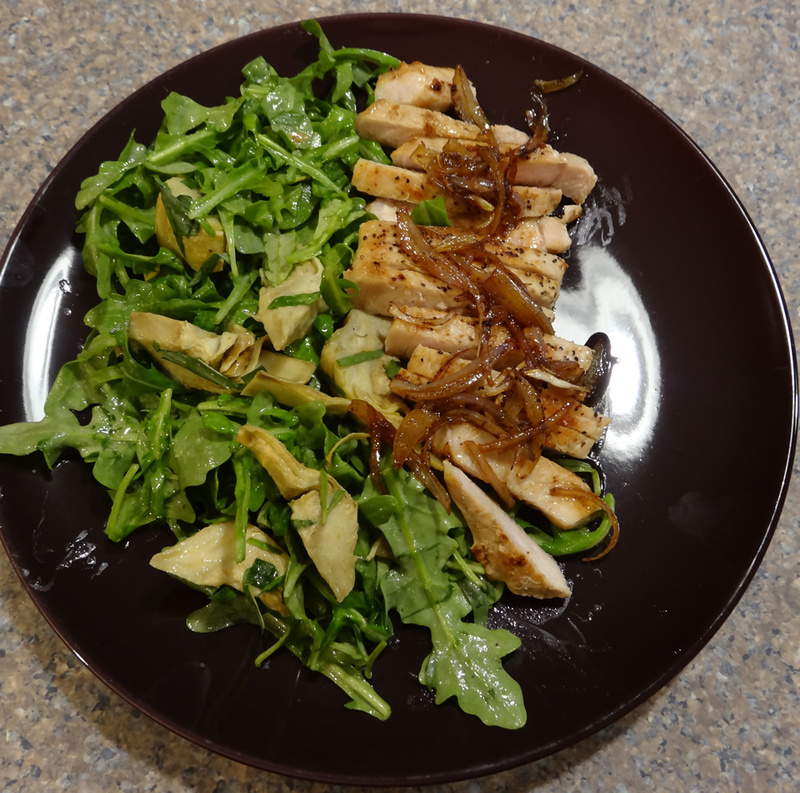 Each week Plated will pick recipes for you based on your taste profile. You can easily swap these out with other selections from that weeks menu. 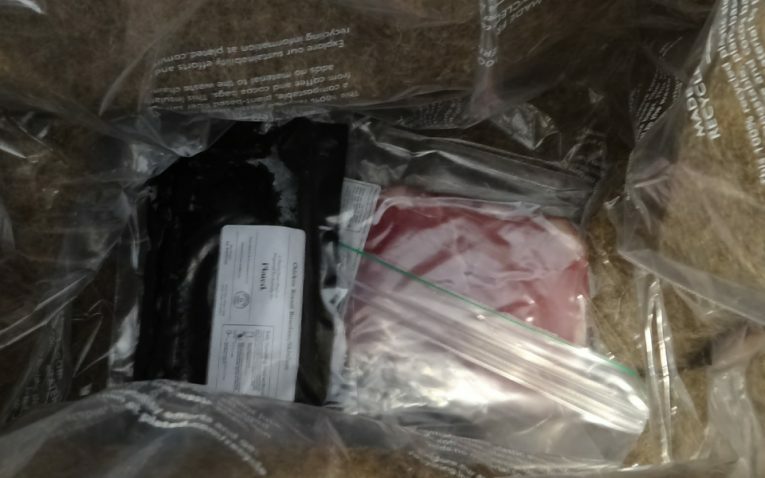 You must swap out the meals within 6 days of the shipment date, or you will get the meals Plated picks for you. You will get to pick through the available recipes and you will usually have seven standard entrees to pick and choose from. They also have two additional entree choices (normally steak and seafood), but these are costly – averaging over $20 per serving. Each category and the amount of options each every week will vary, but there are about four vegetarian options each week, limited low-calorie options, and no vegan or other special diet plans, which is a bit limiting for a wide variety of people. If you follow a more restrictive diet or want to try a wider variety of diets, you are better off with another meal kit. Like with most other meal kits, calories tend to be high in the meals, so this is something to be aware of. 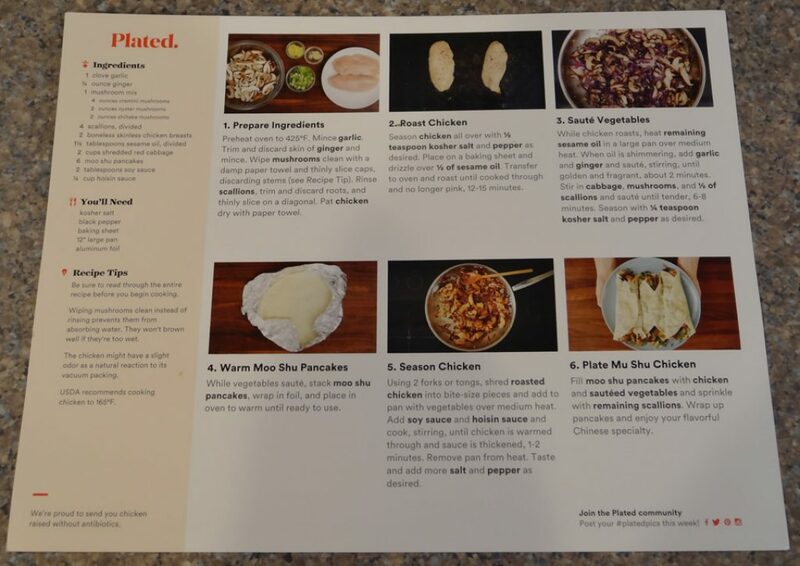 Plated is super flexible as you can choose from any of the 20 meal options without any limits. You do not have to pick an omnivore plan and vegetarian plan and stick to those meal categories. All meals are available under one plan so you can choose from any of the 20 offerings each week. 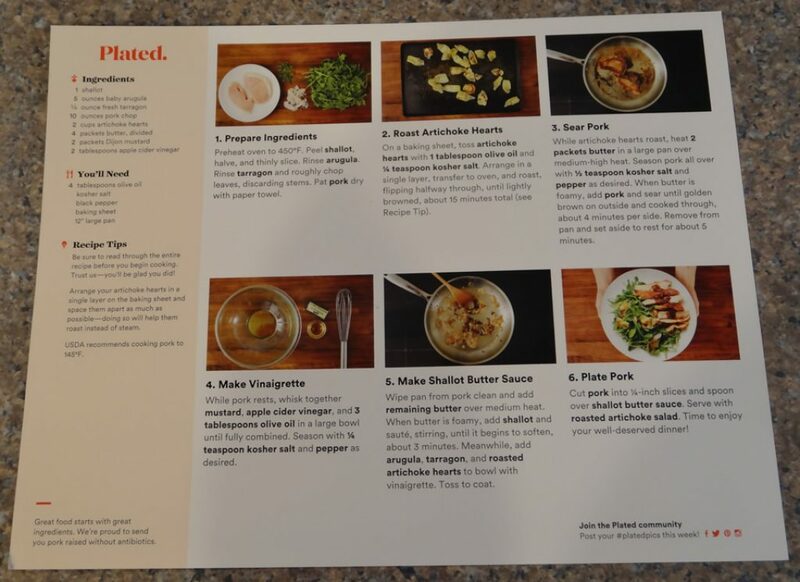 Plated allows you to skip any week you don’t want a meal kit without any penalties. You can also cancel easily at anytime. 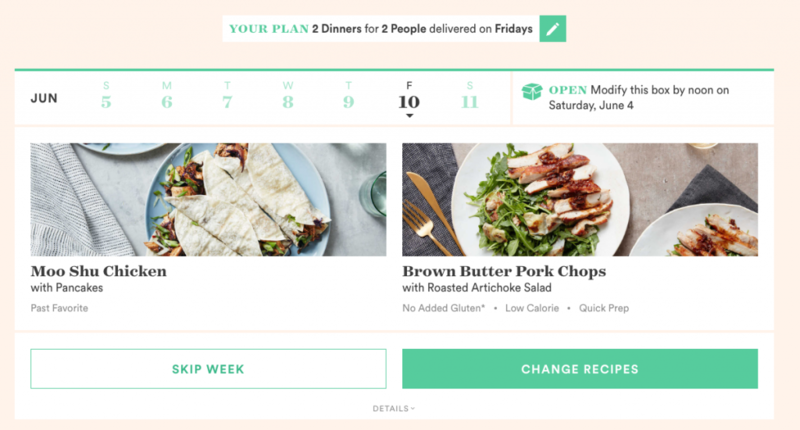 You can see what you have already selected for the upcoming week on your Plated dashboard. You will also see how many days you have to modify the order or skip the week entirely – if you don’t like the alternative recipes. Plated is simple to use, flexible and they don’t lock you into any contracts. As long as you cancel before the next shipment’s finalization (6 days prior to shipment), you will not be stuck with food you don’t want. I feel that Plated offers a great variety of meal options with unique and fun ingredients that aim to elevate a recipe and really make you experiment with new flavors and cooking techniques. They have familiar ingredients and recipes like turkey burgers and pizza, but they take those basic recipes and put a really different, chef-inspired spin on them, so it keeps meals interesting! 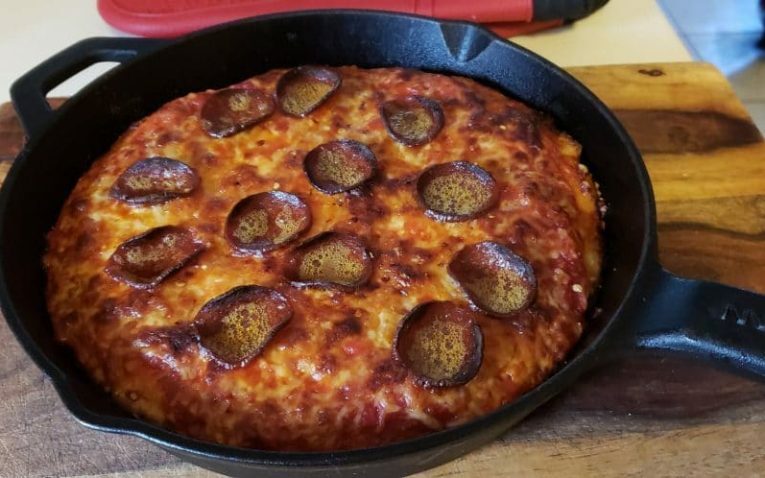 For instance, I choose their Grandma’s Pizza recipe for one of my meals, but I was able to bake it in a cast iron pan, make my own sauce, and pair it with a super delicious kale and parm salad that made it feel much more special than your typical pizza recipe. My other recipe was a play on pasta with meat sauce. 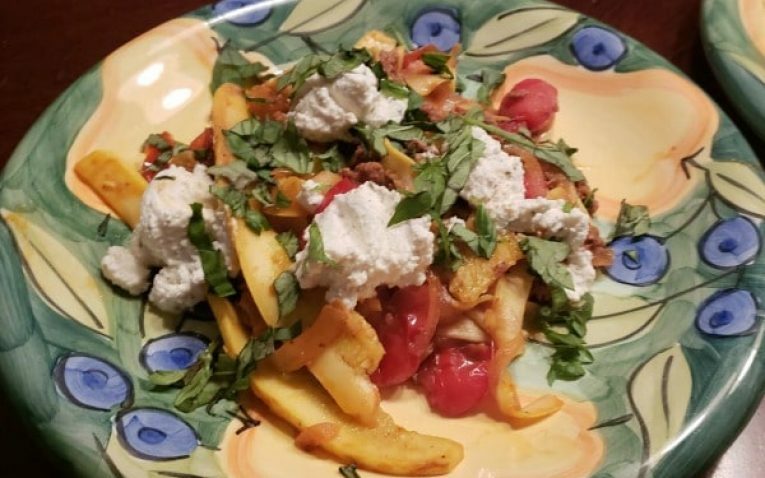 Instead of pasta, the dish used yellow squash ribbons I cut myself and was topped with fresh basil and creamy ricotta for a summery fun twist on an otherwise heavy dish. It was lots of fun cooking with common ingredients, but in a new way. 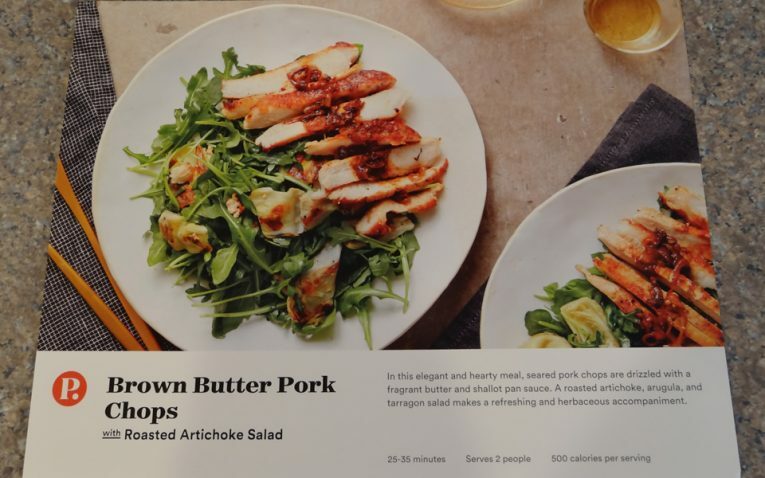 I especially like how they list on the site tidbits about the recipe – such as what is a “quick prep” item or low calorie and even vegetarian. That way when you’re picking and choosing your recipes, you can consider how much time you have or if there’s a specific dietary concern. I don’t follow a special diet or have any food restrictions, so this is not an issue for me, but if you do you may find it more difficult to find a recipe that suits your needs or think the food variety is more limiting. Plated provides the nutritional information for all of their meals, so you can easily choose which meals fit best into your lifestyle. They have some low-calorie and low-carb options each week. Plated uses meats without antibiotics or growth hormones and seafood is from sustainable, fresh sources. They aim to use seasonal and organic ingredients and produce when possible as well. 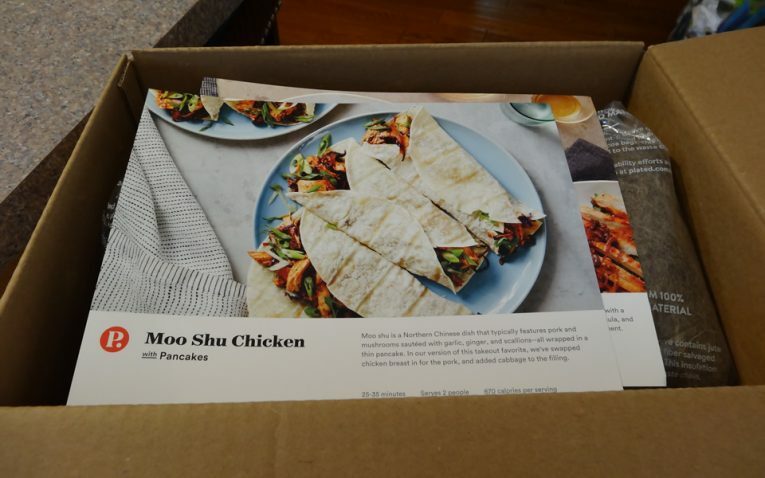 I always tend to knock meal kits for nutrition because I think it is a big issue with meal kits, and Plated does not avoid this critique. Calorie count on these meals tend to be quite high. They generally range from 500-950 calories per meal, which is extremely high for one meal. Even though they have low-calorie options, you only have 1-2 options per week and those meals are still 400-500+ calories per meal. You can reduce the calorie count by using less oil than they recommend or cutting down on your portion size, but this would likely be an issue for many people. For instance, the pizza dish I made called for nearly 4 tablespoons of olive oil in various parts of the cooking process, which is over 400 calories in just olive oil alone. The recipe could easily be made without any oil, reducing calories by over 200 per person. I also did not receive any organic ingredients in my kit, which is disappointing. 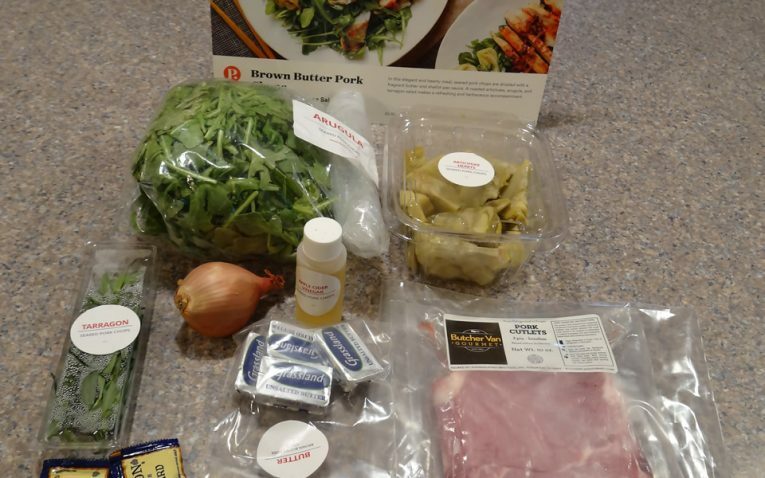 Although organic eating is a personal choice I follow, finding meal kits that make organic ingredients a top priority always receive a higher score for quality of ingredients. 2 meals per night come to $11.95 per meal, while the 3-4 servings per night run $9.95 per meal. You pay for your weekly meal kits on a weekly basis. Shipping is free over $60 orders. When you sign up, you must order a minimum of two meals per week for two people (no single plans). However With their new plans, their pricing is now much more in line with their competitors with $11.95 per serving for two servings to $9.95 per serving for more family oriented plans. 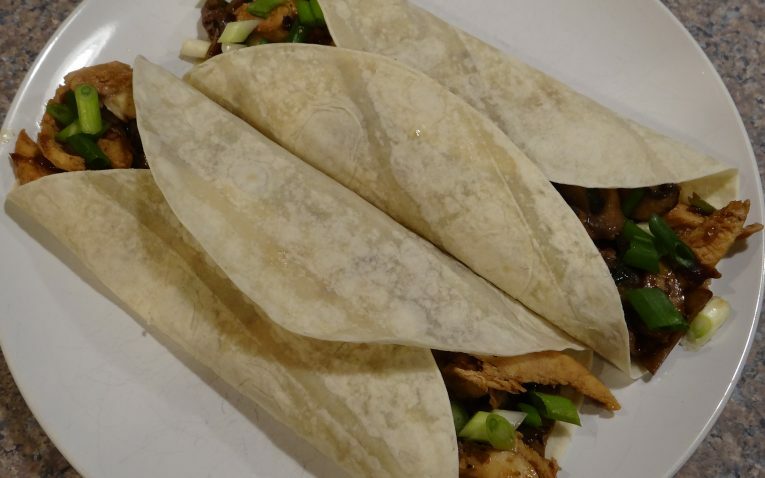 Want to see how the recipes we ordered ended up? Read our taste test. 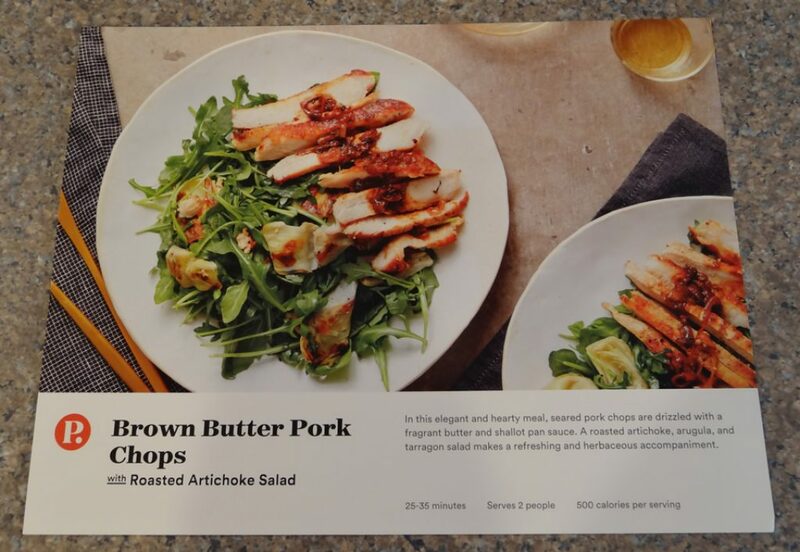 Plated does have a great variety of recipes – including low-calorie, vegetarian, etc. All of their recipes are original and inspired by the season – so you don’t have to worry about receiving a hearty meal in the dead heat of summer. 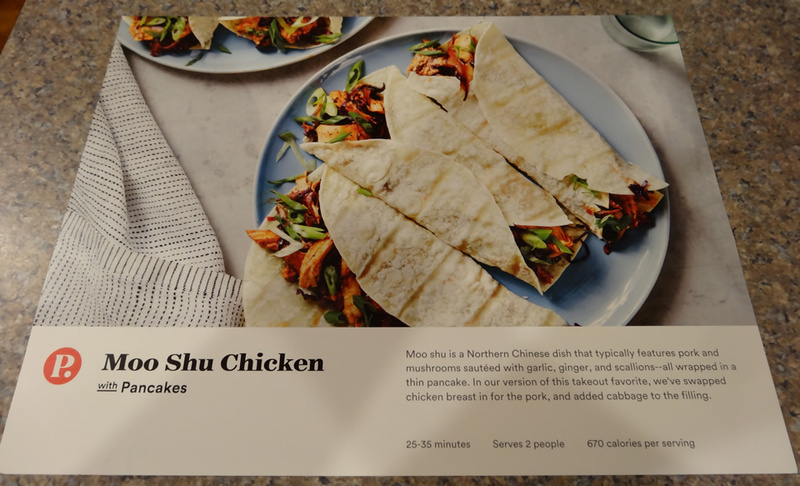 Recipe cards are just like any other meal kit. They are large cards with a picture of the final dish on the front with cooking time and calorie count. 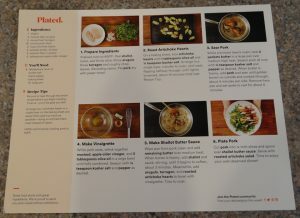 On the back are step by step instructions with text and pictures to help guide you through the recipe. You can see how long prep and cook time are, the ingredients included, the ingredients and tools you need from your kitchen, and how much of each ingredient you need. The steps are simple and easy to follow. The portion sizes for their meals are generous – two servings are very filling, so it's easy to believe their serving suggestions for their family-style(4 serving) plan. 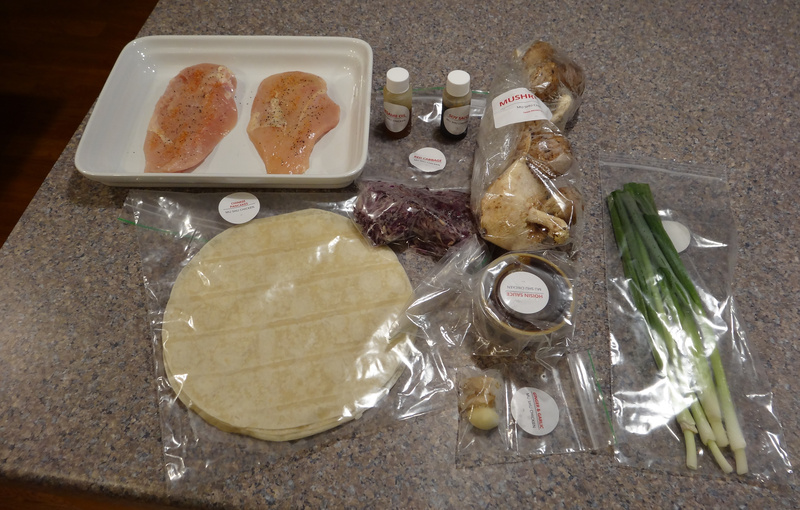 Plated includes just about everything you need except the standard cooking staples (i.e. olive oil, cooking oil spray, salt and pepper). 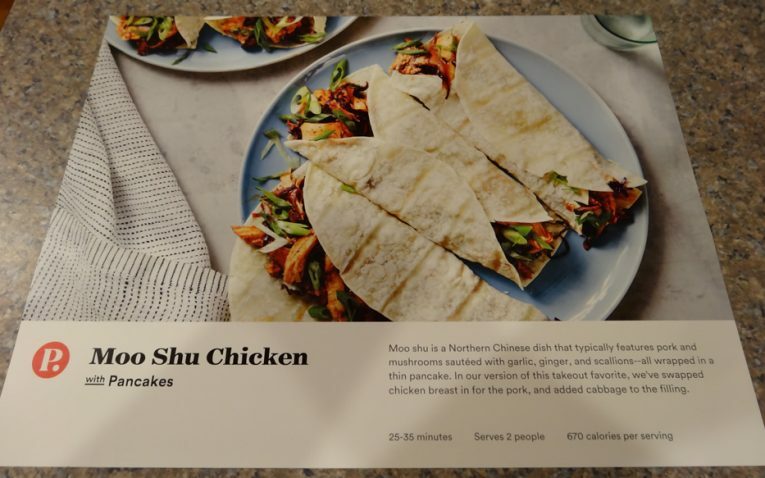 There is nothing negative about the recipe cards or instructions. Everything is straightforward enough for a beginner to follow effectively. The box came in a well marked Plated box so you know that your meal kit has arrived. The box is filled with ice packs at the bottom and an insulated protector to keep your food fresh. The meats are in the bottom of the package with the ice packs to keep it extra cold. 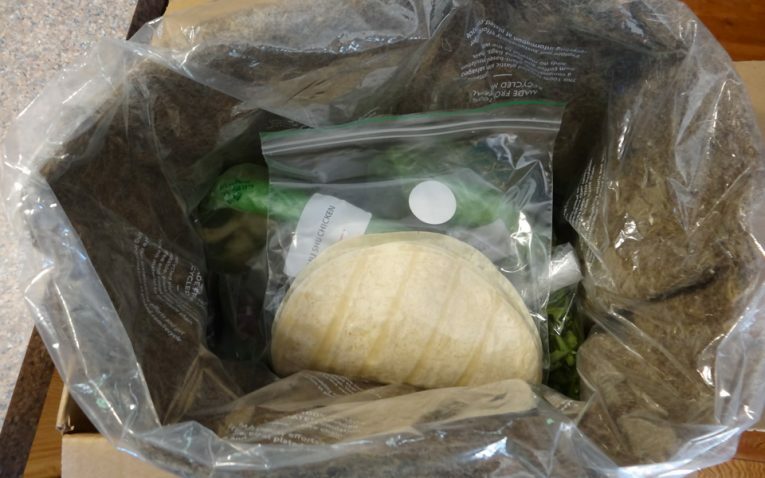 Your meals are separated into marked plastic bags so all of your ingredients for each meal are in one convenient place and can just be put in the fridge all together. 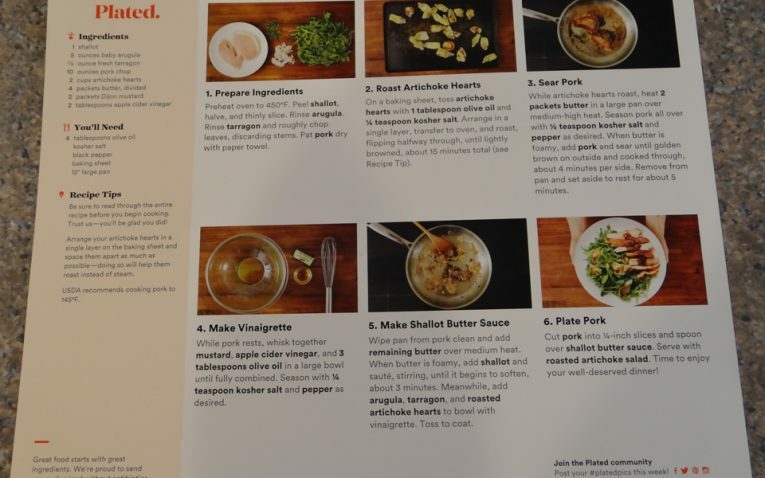 When you first open, you will be greeted with the recipe cards for your meals. Everything was very cold – and the ice packs had barely begun to melt. They also used a jute liner. 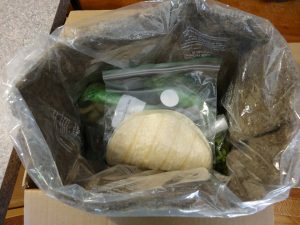 This is a good thing to see with meal delivery kits – because these kit services go through a lot of waste. Jute liners can actually be composted. 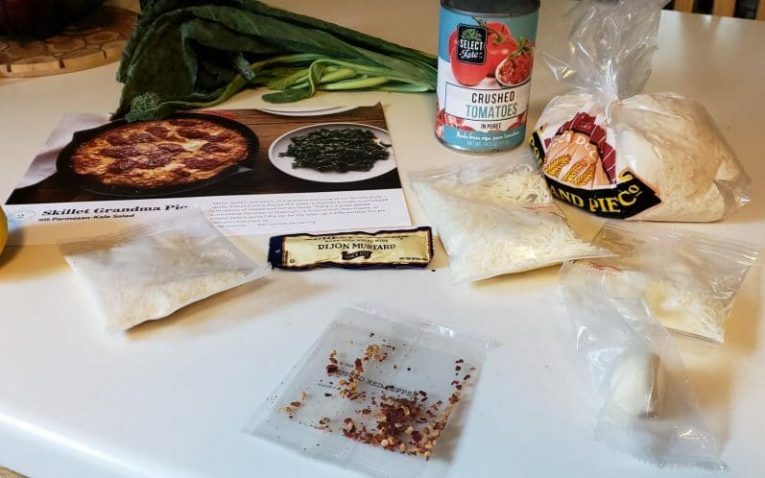 All of the ingredients for each meal are stored in their own bag – so you aren’t sifting through tons of ingredients to find what you need for your recipe. All meats were stored at the bottom – and they remained cold. If there was a leak, keeping them at the bottom would ensure they didn’t leak on other non-protein components. 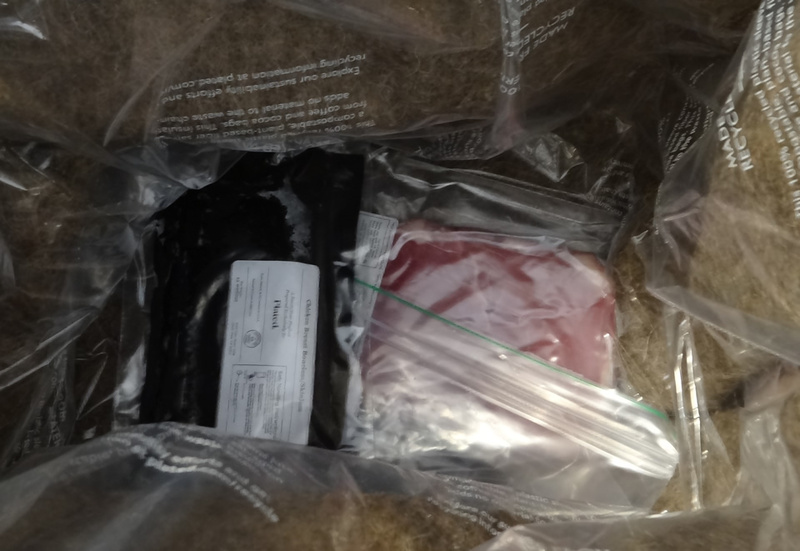 Also, they took the care to double wrap and seal their meats – so if one layer did leak, you still did not have raw meat juices all over your box. You would be surprised at how many companies don’t take that precaution. I do not like how Plated places already peeled cloves of garlic into separate plastic bags. It is wasteful and unnecessary. 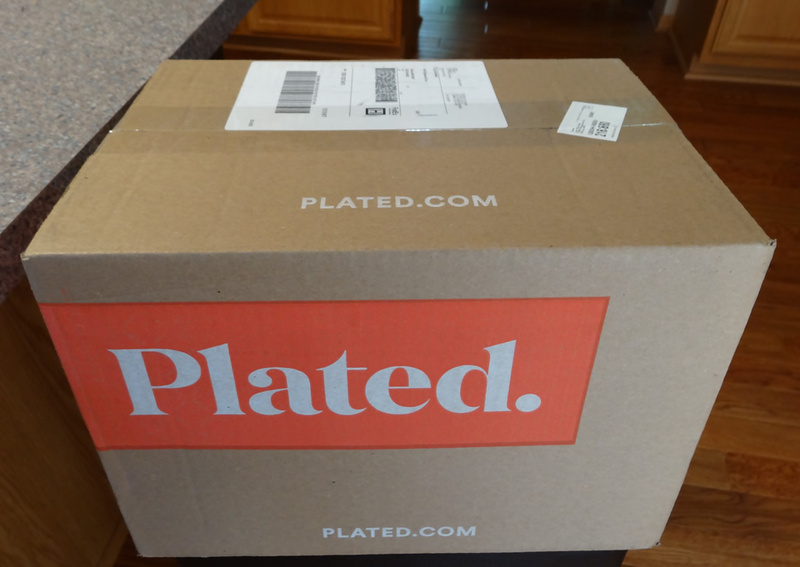 Plated lets you choose what day of the week you want to receive your shipment – allowing you to choose between Tuesday through Saturday. This is a good feature – considering some people want their meals fresh for the weekend, while others want mid-week relief. Your entire weeks’ worth of meals are delivered on the same day – so no multiple shipments to worry about tracking and/or retrieving. One unique feature is how after you order, Plated sends you an email about what you ordered, what tools and ingredients you will need at home, etc. 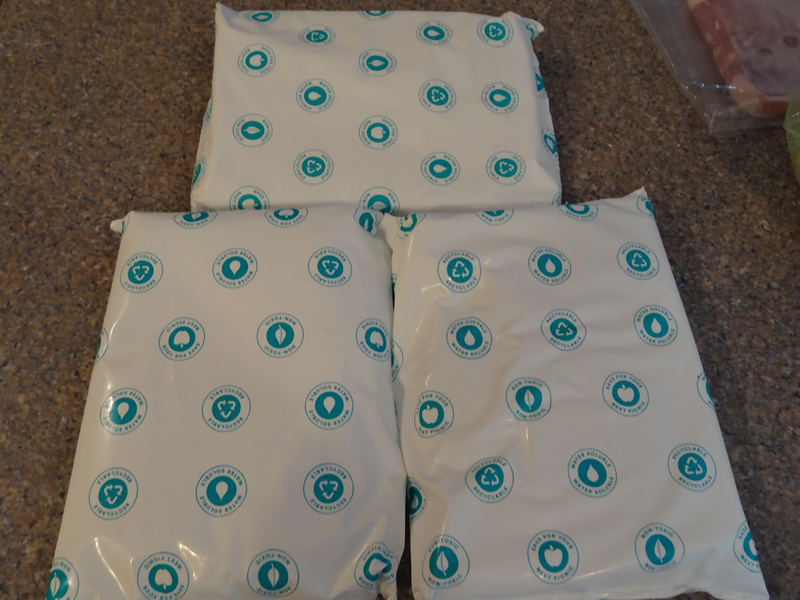 Not all meal delivery kit services do this – so it’s worth noting. Plated ships to 95% of the US and shipping is free for orders $60 and over. They ship all throughout the summer since boxes stay cool until midnight the day your box is delivered. Unfortunately, I had a bit of an issue with my Plated delivery the first time around, which is important to note. When my first order was placed, I never got a tracking number. I live in an apartment complex with smart key entry only, so I rely on tracking numbers to make sure I get my deliveries that are left outside my building. Plated using a shipping service called Laser Ship, so they did not have access to my building like FedEx and UPS do. Therefore, they simply left my package outside in the 90-degree weather. Packages are supposed to be left at the backdoor, but they left the package outside the front door where I never go. Without my tracking number, I has no idea the kit was delivered and it wound up sitting outside for over 24 hours without my knowledge until another resident informed me it was there. 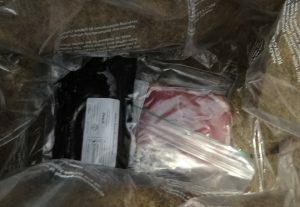 Upon opening the box, my meat and seafood were spoiled and my package of calamari was leaking rotten juices as well. 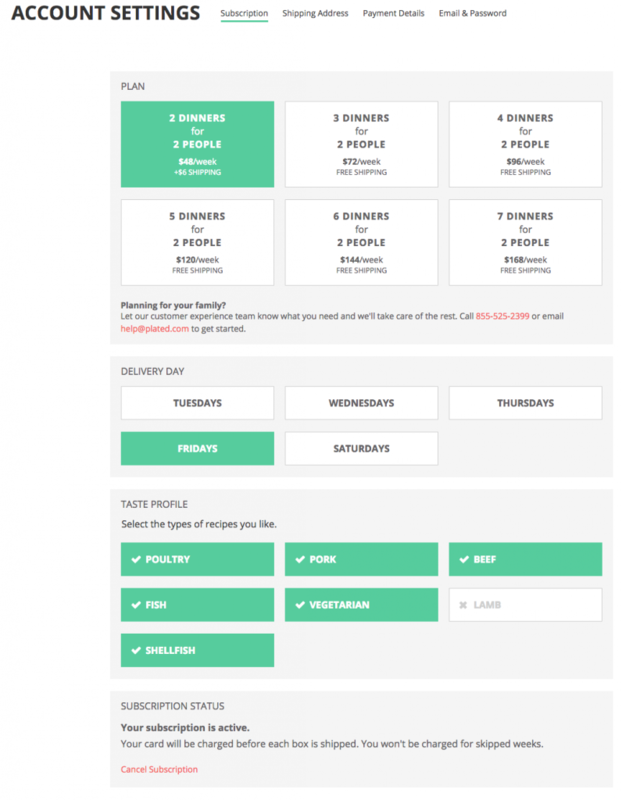 Plated lets you purchase a gift card specifically to cover a weekly subscription. Their subscriptions start as low as $54 per week, but gift card increments are in $60, $120, $180, $240, $300 and $360 – so no matter what, recipients will have some sort of leftover dollar amount. You cannot send an actual box to a family member or friend. You only have the option to pay for a gift card and gift cards are non-refundable. You can contact Plated through phone, email, and live chat. Having live chat is something I always appreciate because it makes it so much easier to get a quick response without having to all anyone or wait for an email reply back. Contact is available from 8 am to 12 am, 7 days a week, which are great hours and much more than many other meal kit companies. All products offered through Plated come with a freshness and quality guarantee. 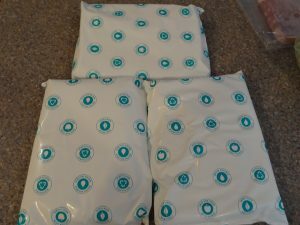 If products arrive damaged or spoiled, you will need to submit a photograph of the issue to Plated. They will then issue a refund. Also, if you are missing ingredients, you can contact customer service and they will do what they can to correct the issue. Plated is very slow a returning emails, so make sure to use the live chat or call them over the phone for a quick response. Plated also has no return policy. They only have a freshness guarantee for up until midnight the day your box is delivered and then 5 days after you get your kit and store in the fridge. Shipping is free if your weekly total is $60 or more, otherwise it's $6. 2 Servings: Provides you with the choice of 2, 3, or 4 dinners per week, that include two servings for 2 adults, or 1 adults and 2 children. Price per serving is $11.95 making this plan's starting price at $47.80 for 2 servings, twice a week (total of 4 meals). 3 Servings: Provides you with the choice of 2, 3, or 4 dinners per week, that include three servings for 3 adults, 2 adults and 2 children, or 2 adults and 1 teenager. Price per serving is $9.95 making this plan's starting price at $59.70 for 3 servings, twice a week (total of 6 meals). 4 Servings (family style dining): Provides you with the choice of 2, 3, or 4 dinners per week, that include four servings for 2 adults and 3 children, or 2 adults and 2 teenagers. Price per serving is $9.95 making this plan's starting price at $79.60 for 4 servings, twice a week (total of 8 meals). 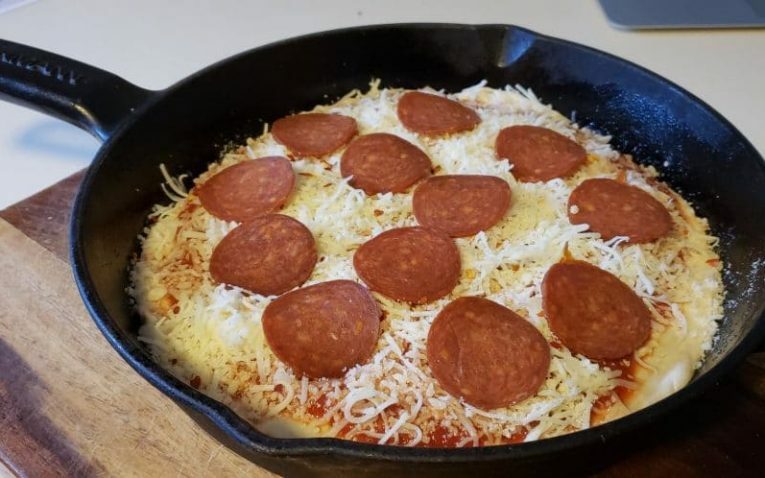 The skillet pizza was super tasty and very easy to make. 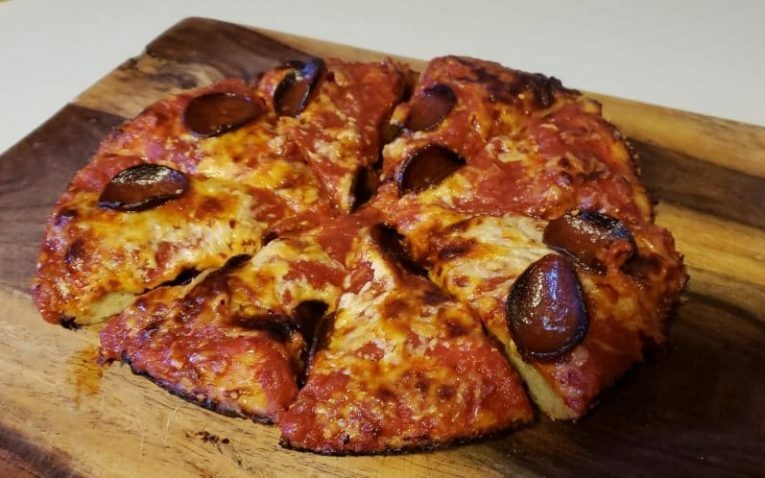 The dough came premade, the tomato sauce was easy to prepare, and from there it was basically just assembling the pizza and baking it. The cheese came pre-shredded as well, so there was barely any work involved in this recipe. For the kale salad, all that needed to be prepared was de-stemming and chopping the kale and making the salad dressing to massage over the kale. Kids could most definitely help easily with this recipe, which is great since it is so family friendly and yummy. Although a bit more complicated and time consuming, I would still say it was a beginner’s recipe. 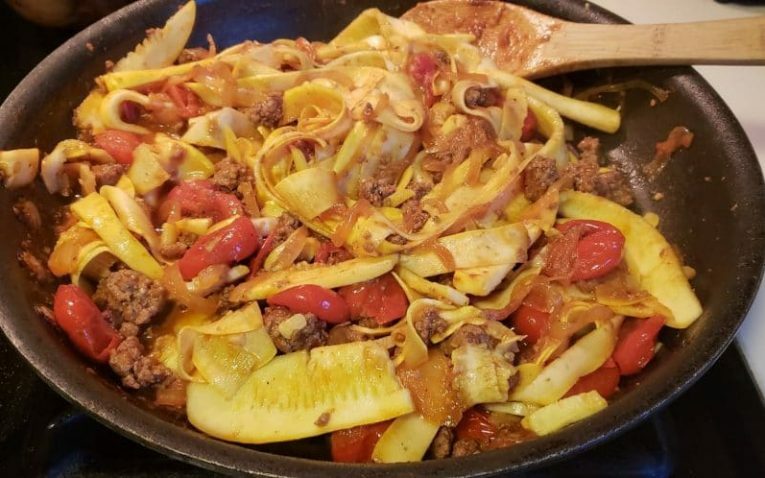 The hardest and most time consuming part of the recipe was making ribbons with a vegetable peeler and the yellow squash. It took a little bit of practice and finess to get the ribbons to come out properly. I struggled a little bit with not having the squash break apart. I think if you did not have the right peeler for this job, it would be nearly impossible to get smooth ribbon pasta from the squash. I also found it was a very time consuming process, so this dish was not as quick as the other one. 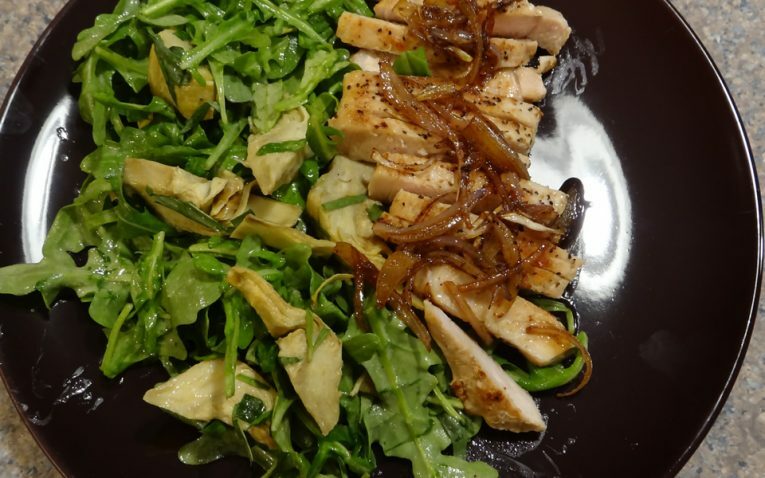 Other than that, you mainly just had to chop, stir, and assemble the rest of the ingredients, which was easy and straightforward. Plated would most appeal to adventurous eaters with limited or no dietary restrictions. 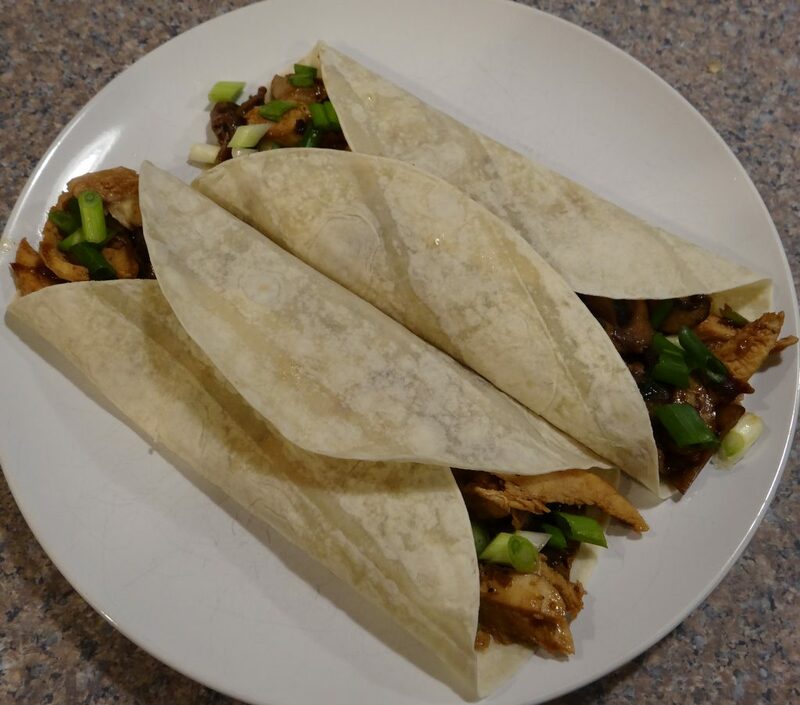 The chef-inspired recipes feel familiar for the most part, but put really fun and unique spins on the food, which help get your out of your comfort zone and experiment with new flavors and cooking techniques. I would also say people who are not concerned with organic ingredients or calorie counts would be perfectly fine with Plated meals as well. However, if this is of concern for you, you would be better off with a meal kit like Green Chef or Sun Basket. Fresh and Seasonal: Fresh and seasonal are always two big bonuses to look for when you’re considering meal delivery kits. You want meals that are inspired by the flavors of the season – such as light dishes in the summer and hearty, meaty dishes in the winter. Plated takes the time to use ingredients that are indicative of the season you’re cooking and serving in – and all of their ingredients are at their peak freshness when they’re delivered to your door. Mobile App and Ordering: Don’t feel like logging into your computer? You don’t have to! 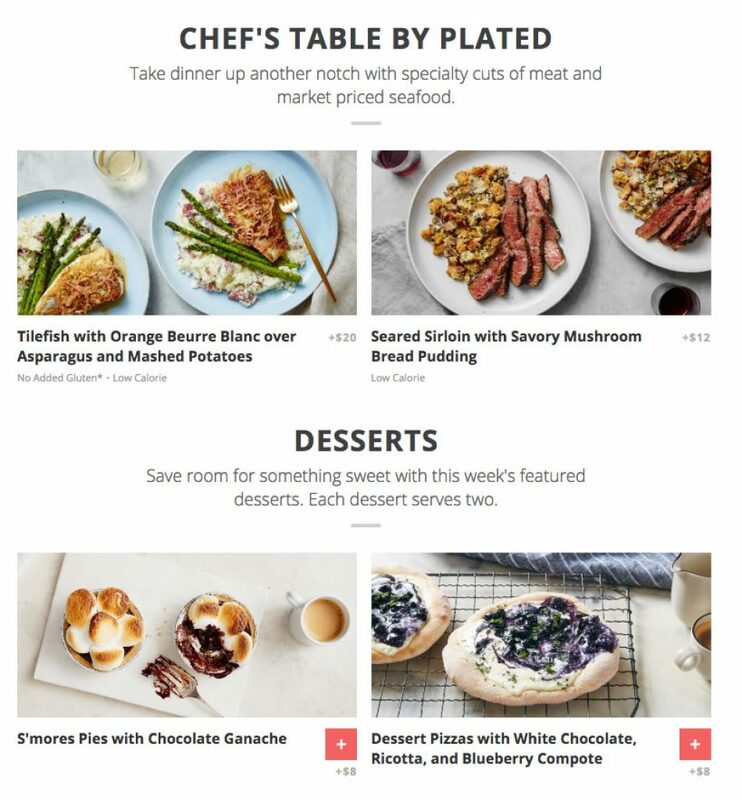 Plated is one of the few that allows you to order from a mobile app, confirm your week’s food order and even look up more detailed recipe information. It’s a unique feature that not all of these services can boast about. 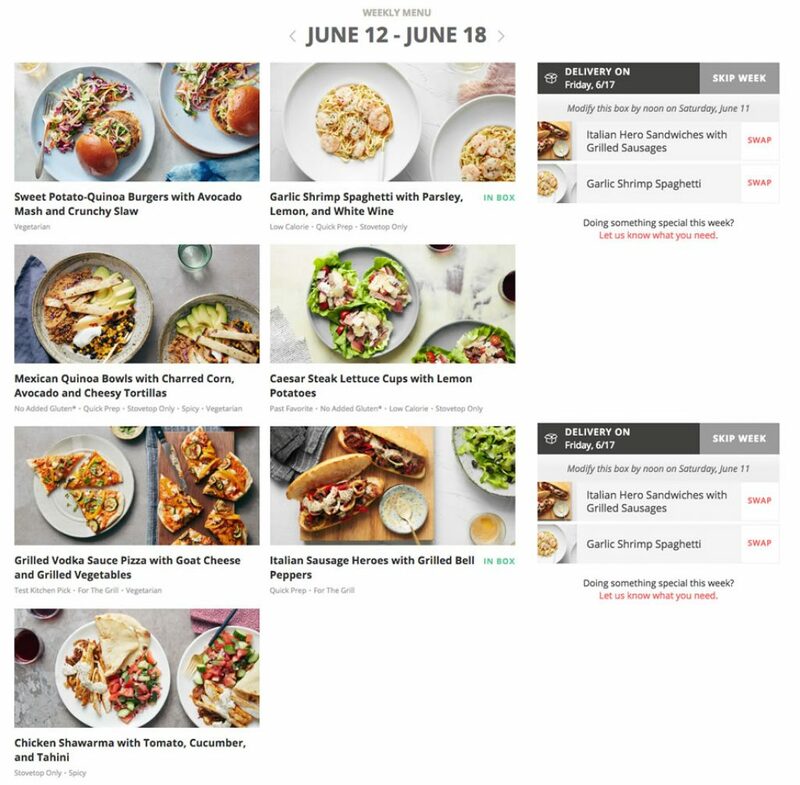 Family Style Plans: With the revamping of their plans, Plated has added a 4 serving, family-style dining plan that will easily accommodate 2 adults and 3 children or 2 adults and 2 teenagers. Even their 3 serving plan would easily feed 2 adults and 2 children or 2 adults and 1 teenager. From the healthy serving sizes of the meals we ordered these suggestions easily fall in line with what we found. Interesting & Different: I really like that Plated has such yummy food that is so interesting and different than you would typically eat for dinner. They really make you try new flavors and cooking techniques, which I really enjoy doing. But at the same time, the food is familiar enough it won’t take you too far away from your comfort zone. Variety: I like how many meals you can choose from each week. 20 options is a lot and dessert options are really fun as well. I think they have a decent variety of food if you don’t have any restrictions to your diet. 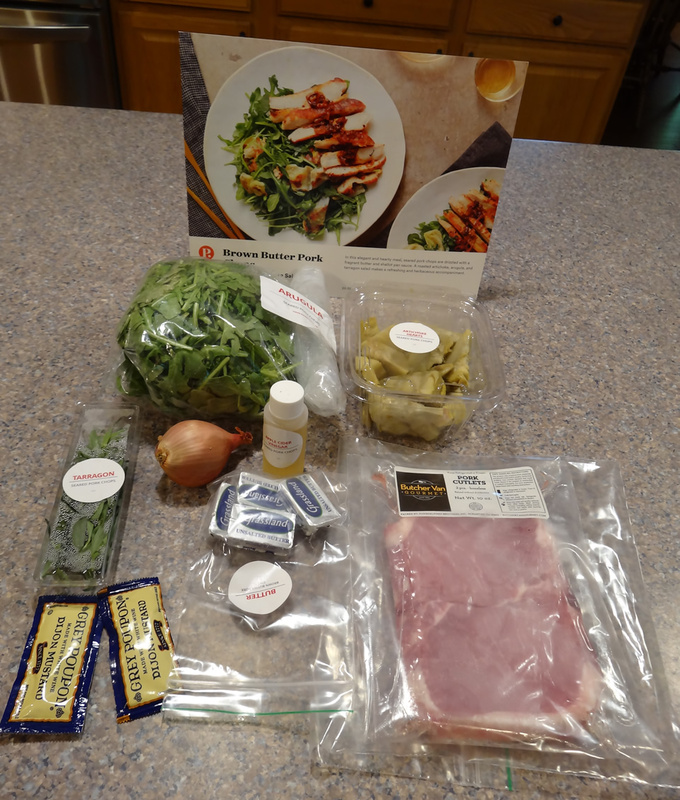 Meals are also very easy to prepare and relatively quick as well. Flexibility: Plated also has a flexible weekly plan so you can skip weeks, cancel anytime you want, and pick which days you want your food delivered. 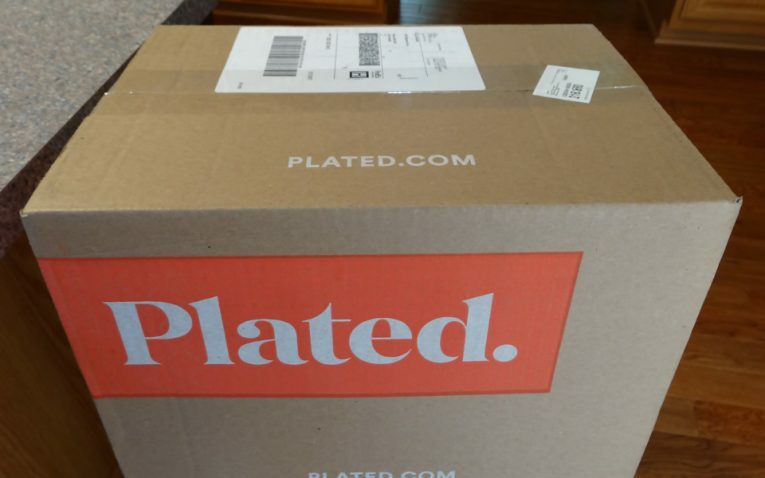 Gift Card, but No Gift Memberships: Plated has specific gift card amounts ready to purchase and your recipient can put them toward a membership, but the amounts of the gift cards do not align with the prices of weekly subscriptions – so your recipient will have a few dollars leftover. Hopefully they make the prices match up better or let the users specifically purchase a weekly subscription. Limited Dietary Options: I don’t like that fact they don’t have a lot of healthy, low-calorie options or vegan and other more specific diet options like Paleo, Keto, etc. Although this is not an issue for me, it often is for many other people, which eliminates a lot of potential customers. Limited Organic Options and Wasteful Packaging: I also don’t like how they don’t use much organic ingredients and I wish the plastic packaging was different. Plated seems to waste a lot of plastic unnecessarily. They give your peeled cloves of garlic each in separate plastic bags, which is wasteful. Other meals kits will just give you a whole bulb of garlic and you can keep the rest, but Plated does not. I found this very unnecessary and stingy. 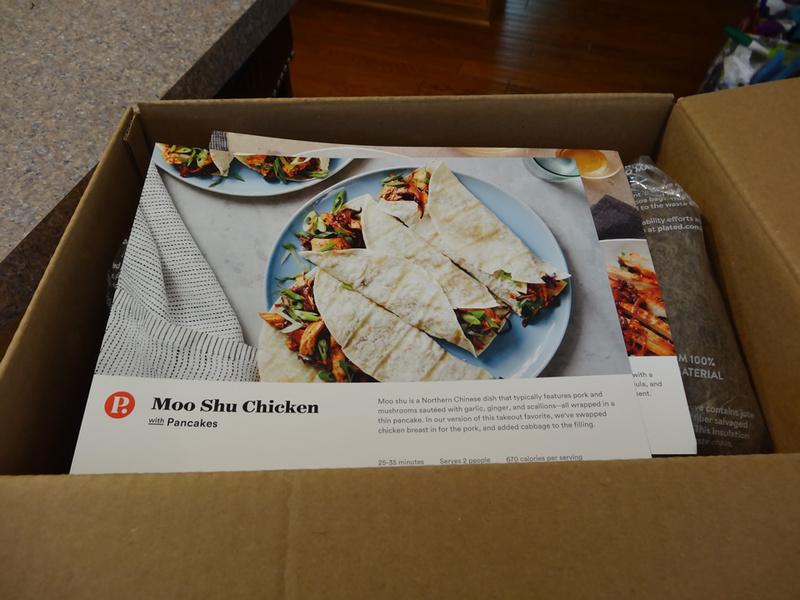 Overall, I think Plated is a solid meal kit delivery service that offers really delicious and unique food that makes you experiment with your cooking, dinners, and expands your skills well. 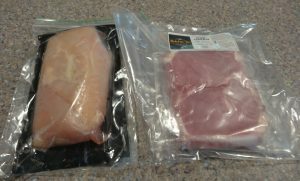 I really liked all of my meals, they were easy to prepare, and did not take overly long to cook or prepare. 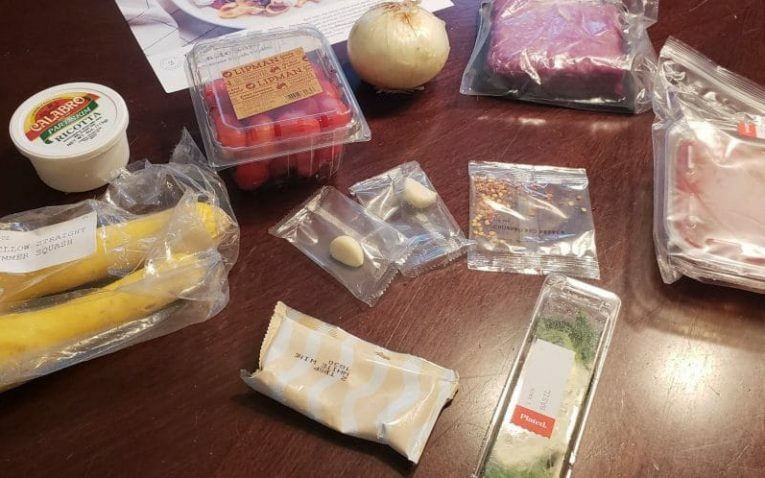 Despite so issues with shipping, slightly wasteful packaging, and a lack of diet options and low-calorie food, I am confident the average American would be thoroughly happy with their plated meals. I would recommend it to anyone who wants chef-inspired food and fun flavors, but does not care about organic ingredients or health conscious meals. For this reason, I would not order it again since I eat a fully organic and lifestyle because other meals kits like Green Chef an Sun Basket use only organic and non-GMO ingredients and focus on more nutritious meals, which fits better into my lifestyle. However, the food was still wonderful and I think anyone would be satisfied with regards to the taste of the meals. Does not cater to a wide variety of eating styles - i.e: vegan, Paleo, Keto, etc. $47.80 25% Off First 4 Orders!